Water temp was 60 today. Awesome catches of Blow Toads. Please keep posting what's biting and what bait is working. I love reading about it, even if I'm not there! best Toad fishing I've seen in a long time. catching them 2 at a time sometimes. We even caught some Sheepshead. Crazy for this time of the year. 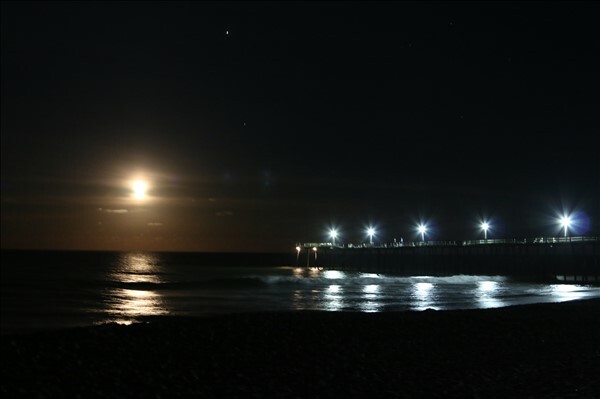 I took pictures while my husband fished from the pier tonight, beautiful full moon! Thanks for the kind words Scott!